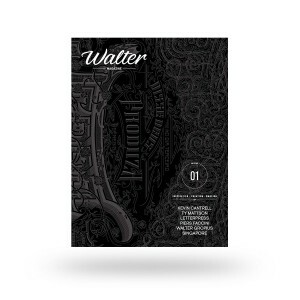 Walter is a quarterly magazine of 180 pages, 21×28 cm format. The edition is limited to 3,852 copies (1883 + 1969, dates of birth and death of Walter Gropius). Walter is an English / French bi-lingual publication. Walter is not another graphic design magazine, or just another design magazine; Walter looks at creativity, on the aesthetic and functional research, regardless of the time and place.